Have you never taken a cruise before? Well, Cruise 1st appropriately enough has gathered a list of first-time cruiser tips, contributed to by yours truly, to inspire you to step aboard with the following helpful suggestions. Emma Gray of Emma’s Travel Tales starts off by suggesting port research. Not only is it important to consider what to do onboard – including packing for the proper dress codes as she also points out – but she indicates, as we too have shared, that sometimes shore excursions can be had cheaper if booked on your own. Of course, brands like Carnival Cruise Line and Princess Cruises now guarantee their tour prices. Among others, Becky Wiggins of English Mum adds to the research suggestion in regards to selecting a cruise line that is best suited to you and your personality. She continues on to mention picking the ideal cabin on a specific ship from there. Once onboard, she also recommends exploring the ship to get your bearings and understanding of where everything is for the vacation ahead. Besides researching on your own, she suggests taking advantage of the services of a knowledgeable travel agent as well. CruiseHive’s editor, Emrys Thakkar also reiterates the importance of orienting yourself onboard in addition to taking the lifeboat drill seriously for your and others’ safety. Besides packing for the right dress codes, Harry Cotterill of Cruise Cotterill thinks it’s a good idea to make a master list of things to bring so that something isn't inadvertently left behind. 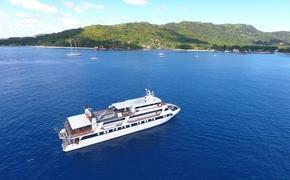 He also believes planning a cruise in the range of 4-7 nights as a good cruising sampler, and I agree. Even a 3-night from a convenient homeport would be a good first taste to see if the at sea lifestyle is one for you. Meanwhile, Marian Krueger at TravelShopGirl adds consideration for being polite to the crew and tipping them as well. They deserve it. Being mindful of the time onboard and off is also crucial according to her. You don't want to miss that shore excursion leaving the ship, and, even more importantly, you don’t want to miss the ship if you’re late returning to the port from a shoreside experience. I would chime in to also say be conscious of any time changes. Be sure your watch is set to the ship’s time to ensure you’re on schedule for everything. My contribution to the list is to mostly throw some of that pre-planning out the window. Allow enough room to explore and let the wind catch your sails to experience something onboard or off you might not have considered before. However, one thing to always plan out in as much advance as possible is specialty dining. With so many restaurants onboard ships these days, there are plenty of options to accommodate everyone, but the most popular ones fill up the quickest.